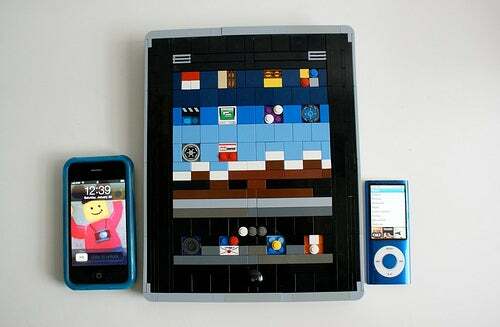 Apple's new iPad is the hot topic in tech circles, and it has inspired one Lego enthusiast to construct a life-sized iPad model of his own. 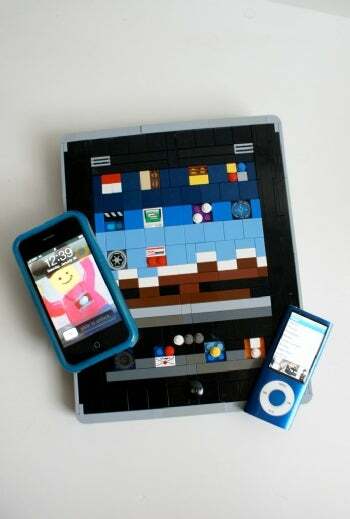 Joe Meno is the owner of BrickJournal, a magazine dedicated to everybody’s favorite building toy: Lego bricks. Meno tells PCWorld that he was impressed by the presentation of the iPad, and is excited about its potential to change the print media landscape. He described the creation process as being a fun challenge that gave him even more reason to get one. 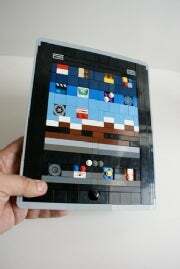 “The dimensions of the iPad made it difficult to build, because its thickness is equivalent to almost 4 Lego plates, or a brick and a plate,” Meno explains. 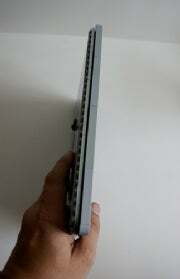 Meno's Lego iPad was constructed into two parts: the frame and the screen. The frame was built with the studs (the “locking bubbles”) pointing down, and the screen was built with the studs pointing upwards. The two pieces fit snug into each other, with the screen measuring at a ‘resolution’ of 17-by-28 studs. Building it in this manner allowed Meno to keep the width of the iPad accurate. The back surface of the iPad is also roughly the same size and tiled with gray, and even has the Apple logo in the center. The iPad is not out quite yet, but you can still check out Meno’s magazine online at brickjournal.com, and be sure to see his entire iPad photoset on Flickr.